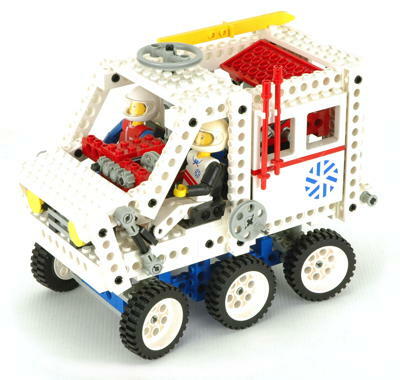 "Arctic Action" represents the first and only time that Technic attempted to do a play theme across a whole range of models similar to what was done with LEGO® Space or Castle. All are based around a theme of Arctic exploration and all include Technic figures with skis and ski poles. Though there is no medical equipment, I get the feeling that these guys are paramedics rescuing stranded scientists or perhaps the occasional walrus. 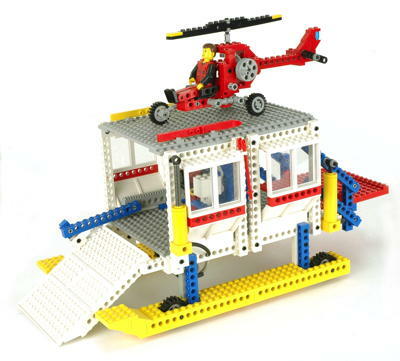 Features are quite different but only the helicopter seems to represent equipment that may really exist. The biggest set is particularly peculiar and looks like just a hospital on skis. 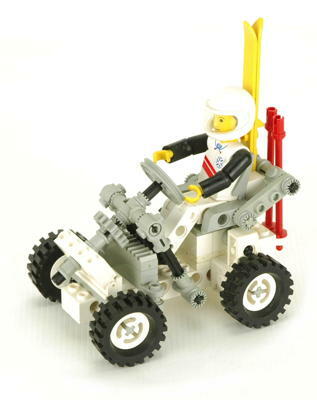 The Arctic Action sets were the first to feature the new Technic figures. Six figures are available in these sets, and all come with skis and poles as accessories. Although I'm sure this will generate plenty of angry emails, these are among my least favorite of all Technic sets and were the last that I purchased. It's not that they don't have any interesting features, but they are obviously based around play value rather than technical functionality, which is not the reason that I buy Technic. 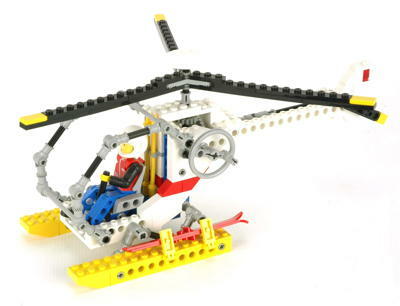 If I was only going to get one, it would probably be the 8640 helicopter. The big set 8680 is, at the very least, a great gold mine of white beams and one of only two sets to feature the long stroke pneumatics.